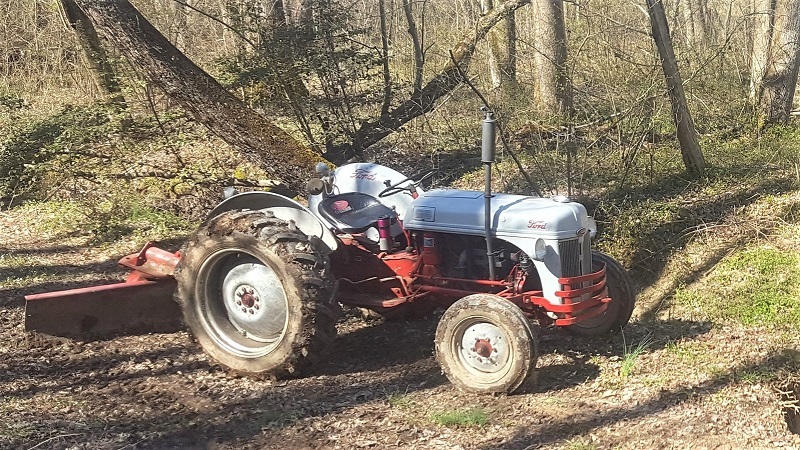 Got both tractors out for some quality time this weekend. Things have finally dried out enough I decided it was ok to go across the creek. That must have qualified as having too much fun. The 2N got stuck coming back. The rear tires just dug in and it won't climb out. 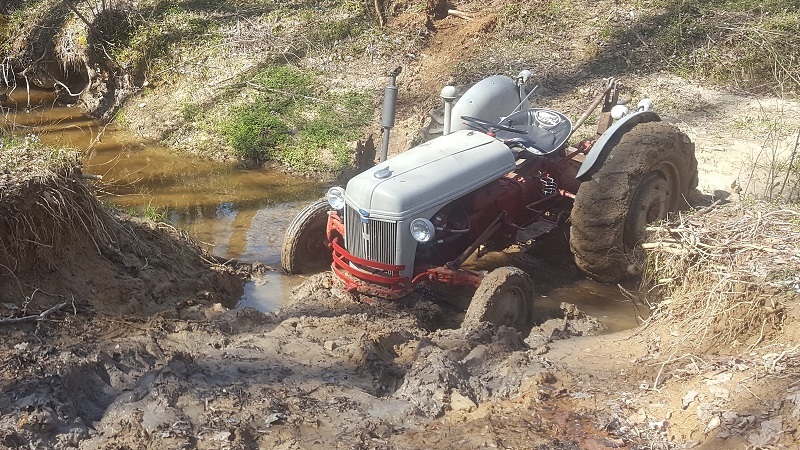 At least I stopped trying before the tires buried it to the axle. Of course this was just before sundown Saturday, and Sunday was already booked solid. Looks like I will have to haul that one out with the winch one evening next week. 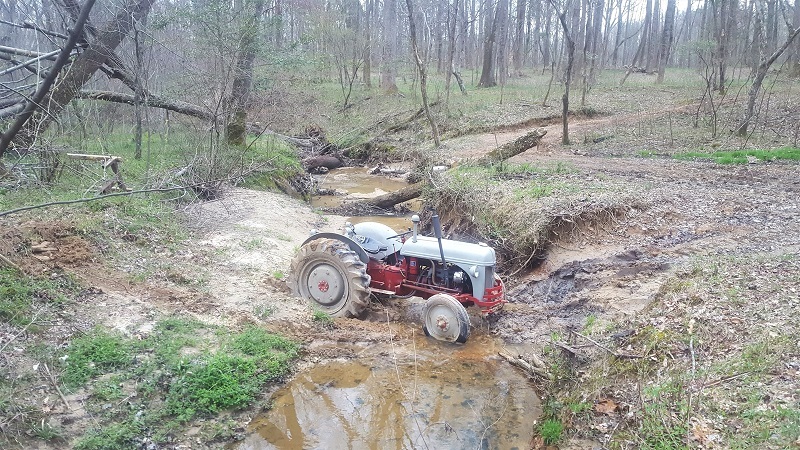 Anybody else have any "Stuck Tractor" photos they haven't posted in a while?